It was gone in seconds with the hoover. Traces disappeared. Odd photos and pictures have turned up. 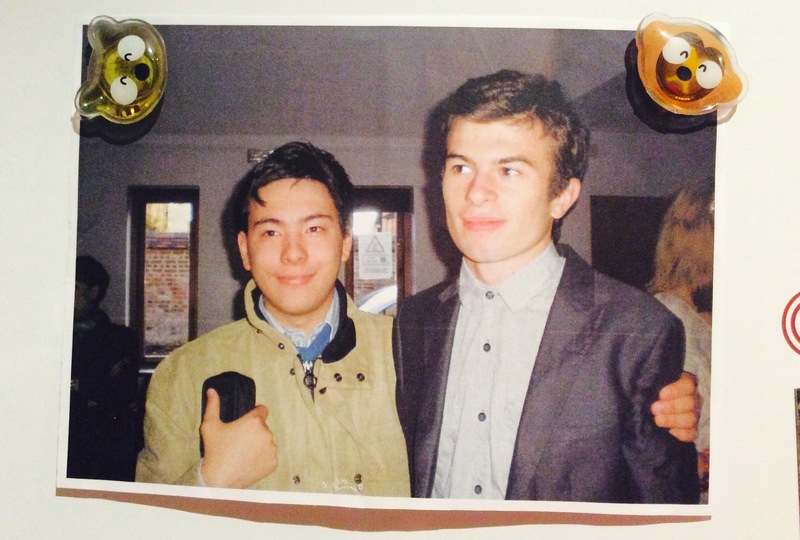 I don’t know who’s with LB in this prom photo (now on the fridge). It’s a school pic. And I’ve not deciphered his film announcement below. The cast includes Dan, his beloved dentist, and Tom, who may be Tom Chaplin from Keane or bro Tom. Depending on when it was produced. He’s rubbed out some of the drawing which was unusual. Or maybe I’m trying to wring too much out of these drops of magic. A way of being with him again. Fleetingly. LB stars and directs, of course. His casual confidence on display in both pictures. I smile, cry, chuckle, rage and feel enormous and unchanging love. I bloody love that boy. This entry was posted in Campaign stuff, Death, Laughing boy tales, NHS England, NHS Improvement, Oxfordshire County Council, Sloven Health, Southern Health NHS Foundation Trust by sarasiobhan. Bookmark the permalink.